Last year I took on 50 books and did not finish the list so this year I've kept some of the unfinished and added a few. I've picked 24 specifically so I can read two each month,which seems like an easy way to stay on track. 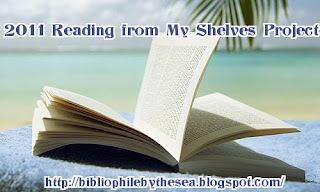 Thanks to Diane at Bibliophile by the Sea for rehosting this helpful challenge.